Are you a traveler? Are you a tipper? Ever wonder what is the tipping etiquette in the countries you visit? Is it appreciated but not expected? The truth is, tipping rules vary by country, region and setting. And it is easy to avoid the tourist missteps if you learn the local tipping culture in Ireland. In short, there are no set rules. Tipping is appreciated by certain staff, but there are times when you do not have to tip at all. When it comes to tipping your taxi driver there are a few factors that influence how much you should tip. Some of them include, whether you arrived on your destination on time, was the ride smooth, was the driver friendly. To make it easier for you, we prepared 3 general guidelines for tipping your taxi drivers in Ireland. If you consider you had good taxi service and want to tip, make sure you leave 10% or more. Anything less than that is insulting, and you might not tip at all. Also, if your taxi fare is less than €10, make sure you add a full euro because leaving change is also bad. If your driver is extra helpful, offers to load and unload your luggage at the airport, makes friendly conversation, and generally, provides an overall pleasurable taxi ride, that it is advisable to reward them for their effort. Consider tipping 20% or more for those rides. If you had great taxi ride, than you absolutely should tip your driver. 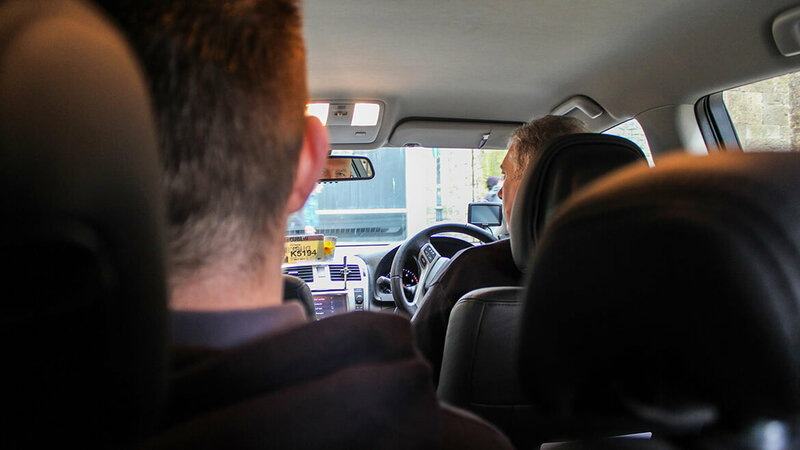 Many people who ride taxi are unsure if it is even appropriate to tip a taxi driver, but we assure you that yes, it is definitely appropriate, and your driver will truly appreciate it. If you are staying in the city for several days, and wish to use the same company, especially if you wish to ride with the same taxi driver each day, it might be beneficial to tip your driver. That way, he will make sure to provide excellent service each time. In bigger cities, there are usually several routes to get to a certain destination. Some are quicker, other longer but more scenic. But when you need to decide how much to tip the driver based on the route, pay attention to traffic, and if the driver tried to avoid crowded areas. Try to notice whether your driver went a roundabout way or was adapting the route based on rush hour traffic. Good taxi drivers have extensive knowledge of the city and its surrounding area. If you are a visitor, based on your preference, he should be able to suggest different attractions or locales nearby. If your driver is not attentive to your requests and needs, then you should consider this when calculating your tip. Tipping the taxi drivers is not expected, but no driver will object if you offer to round the bill by a little bit. Taxi drivers are obliged to give you a printed receipt as per the taximeter, so if you need a receipt that includes the tip, ask for it. The driver will give you an additional hand-written receipt noting the difference. There are no hard and fast rules about tipping in Ireland. Though, tips will be more expected in Dublin. The cardinal rule to follow is “Play it by Ear”. You might come across Irish who pride themselves in providing great service for the sake of it, not for additional tip. Some might even refuse the tips, explaining that ‘It’s just a part of their job”. So given there is no strong tipping culture, do not feel pressured to leave much if you are following the general advice.